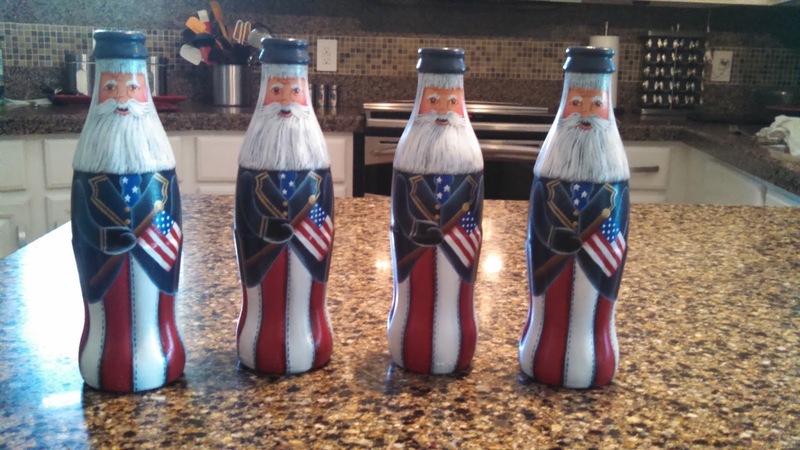 I decided to paint my two sisters, sister-in-law and my dad a patriotic santa Coke bottle to enjoy through the 4th of July. These are such fun to paint. They have the perfect indentions for stripes. 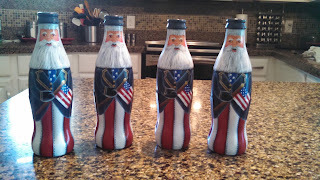 These are the small bottles so I need to get out and find some larger ones. Fun, fun, fun!